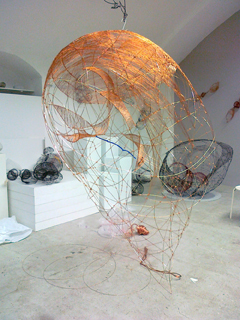 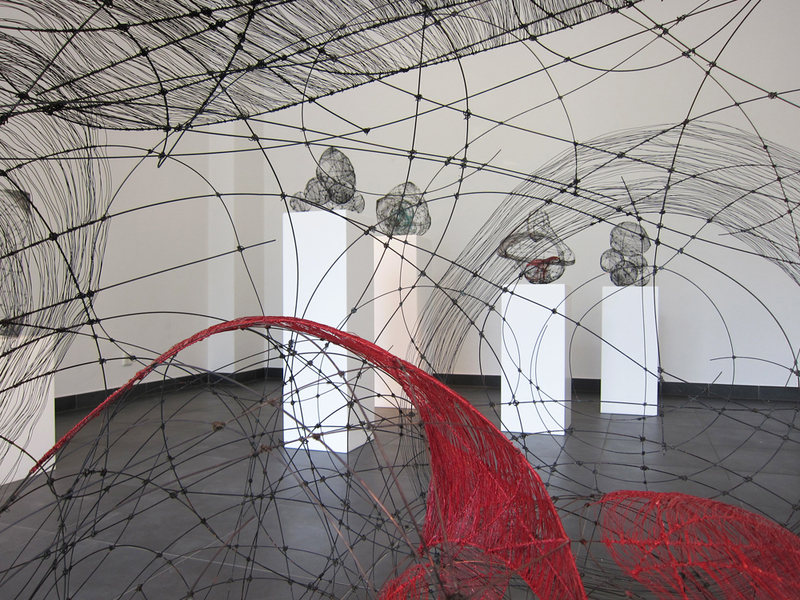 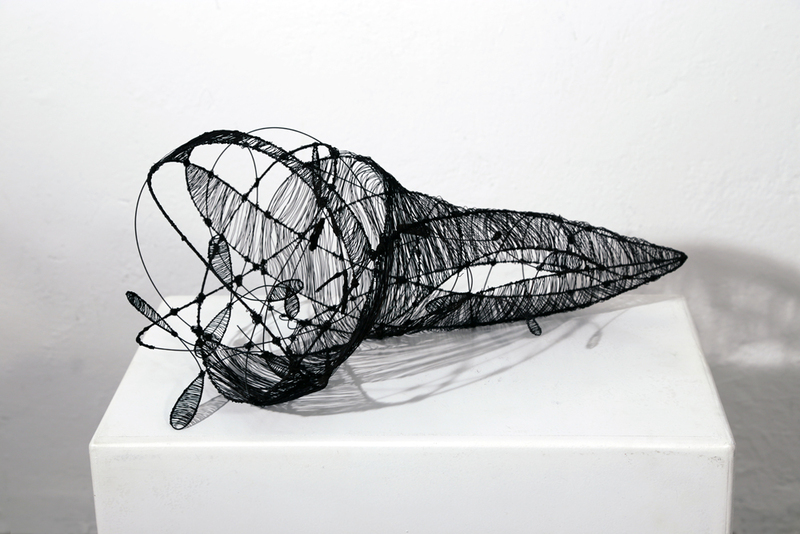 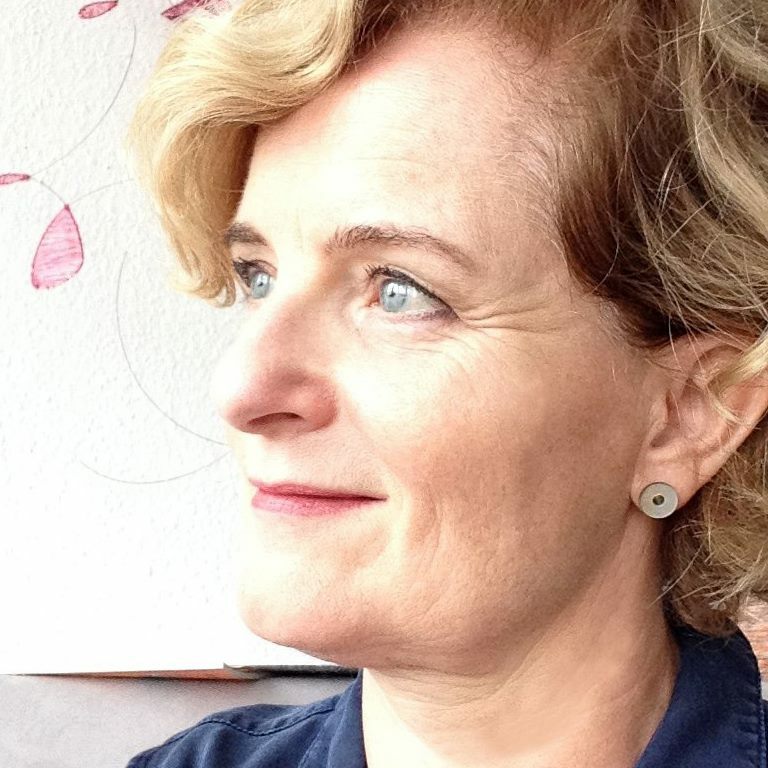 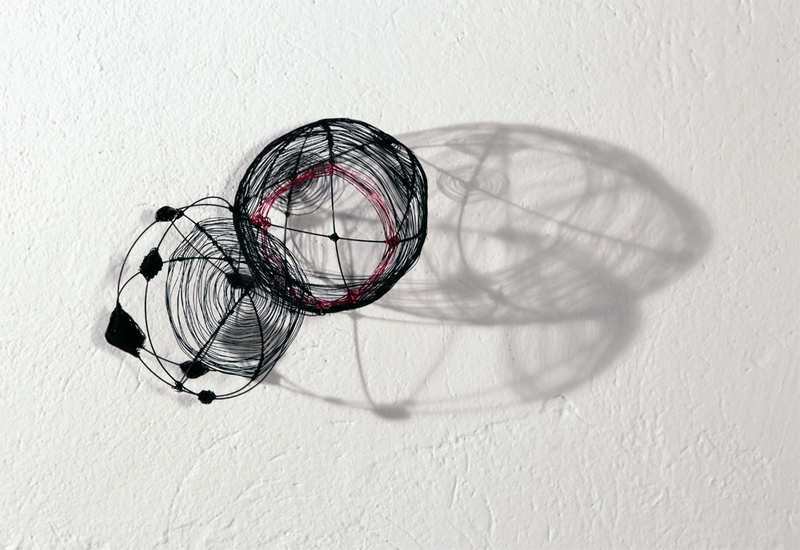 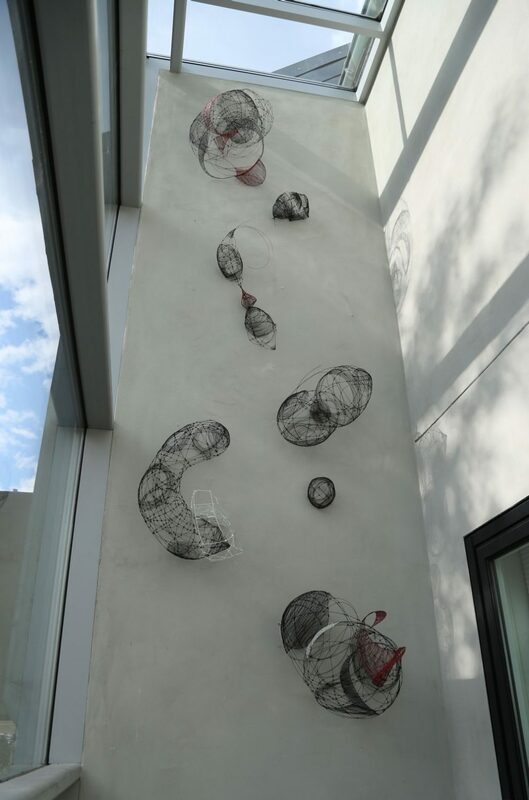 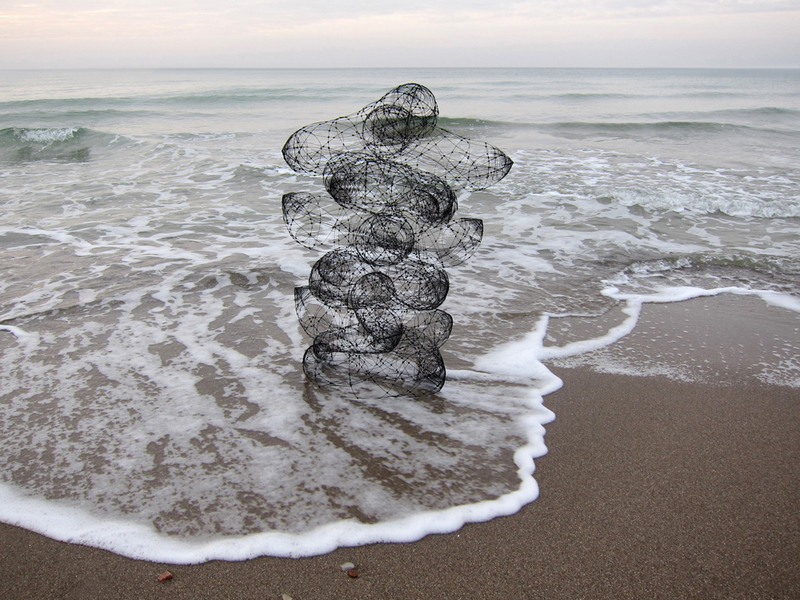 Bettina Lüdicke speaks of sculptures made of air and lines. 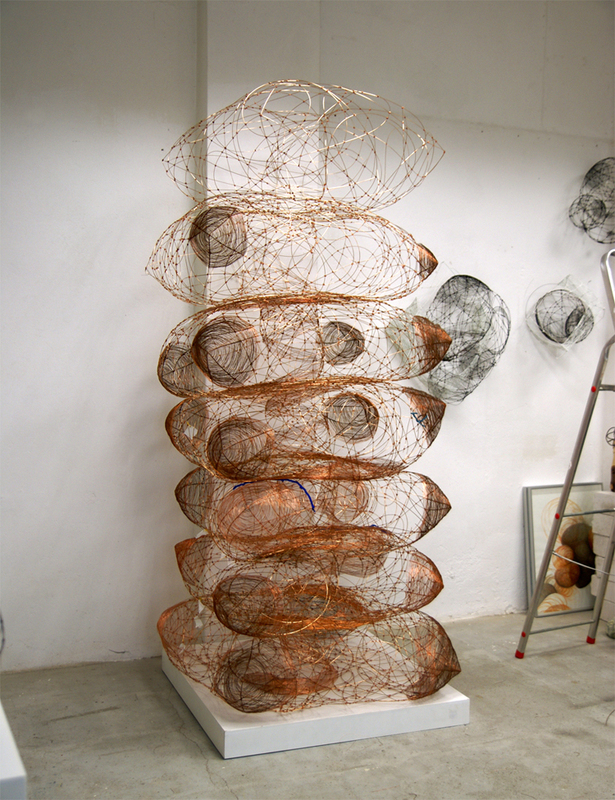 By binding metallic lines she forms her sculptures. 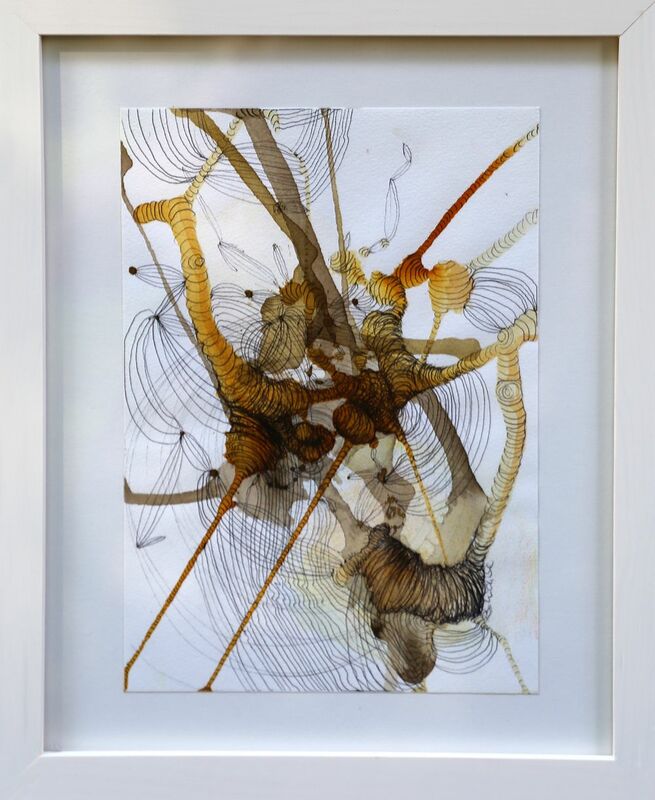 A specially created patination method generates a velvety dulled or bluishly shining black which contrasts with sections of colored varnish. 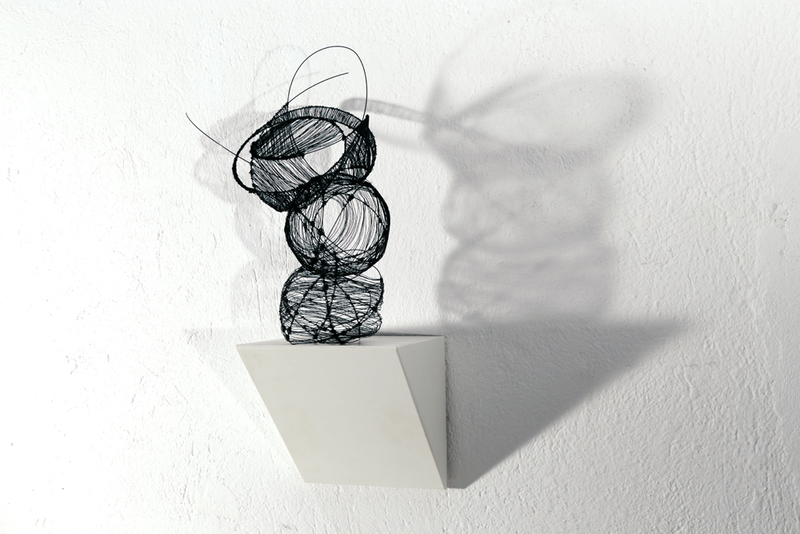 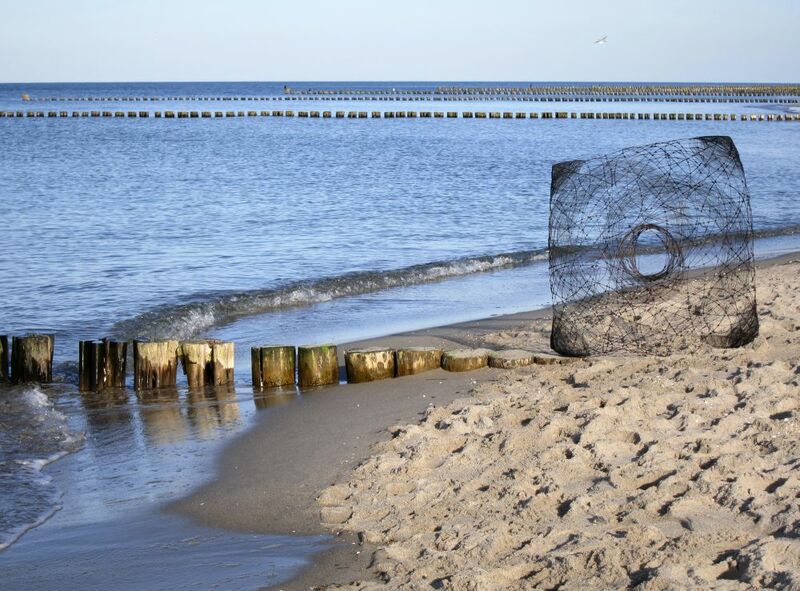 Almost weightlessly Lüdicke’s sculptures express themselves within the tension zone of corpus and space. 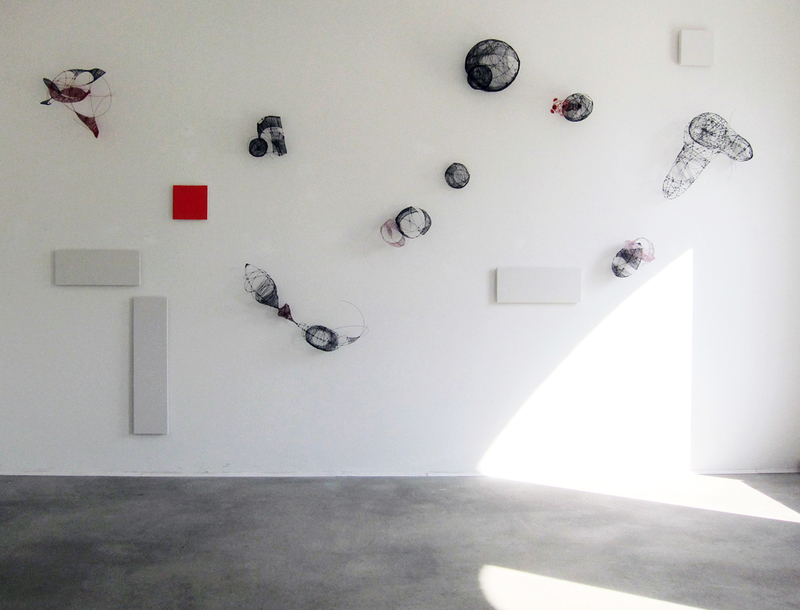 Whether permeable corpuses or space without walls – they open up to the spectator who recognizes shape and space by alternating his vision from the inside to the outside.